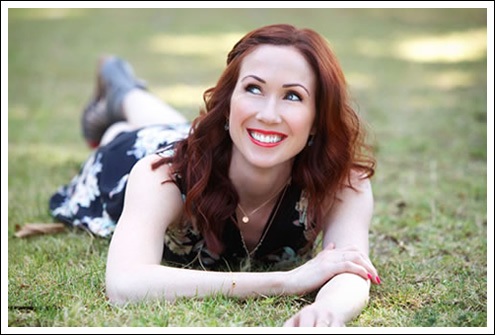 Leah McCormick is an actress, voiceover artist, host, and musical comedienne. She has successfully built a career out of making audiences feel as welcomed and cared for as they are captivated and entertained. Born and raised in the beach cities just outside of Los Angeles, Leah’s passion and aptitude for performance started early. As a young girl, she adored and excelled in the theater arts. Following her artistic instincts in her teenage years, she sang, danced, and acted her way through high school. In her college years, she took to developing the business side of her talents through earning a degree in Marketing and Product Development from the Fashion Institute of Design and Merchandising. As Leah pursued a career in the fashion industry, her love for performing remained a constant and her accessibly stunning style, commercial appeal, and marketing instincts flourished. She went on to train at prestigious conservatories while acting in various projects. It wasn’t long before her voiceover success took center stage, prompting her to dedicate her time and energy to a full-time acting career. She founded her own production company, McCormick Entertainment, shortly afterwards. Over the years, this multi-faceted performer has appeared in feature films, television, and commercials and is actively involved in theatre, singing, and improv comedy. In the world of voiceover, Leah’s uniquely encouraging voice can be heard in hundreds of radio and television ads for esteemed brands such as: McDonald’s, Target, Microsoft, Whole Foods Markets, Hilton Hotels, Nordstrom, P. F. Chang’s China Bistro, Honda, YMCA, and Celebrity Cruises just to name a few. You can also hear her voice work in a variety of video games, television series, and both live action and animated feature films. She is well known for live announcing The 2017, 2016, and 2015 CMT Artists of the Year Awards in addition to The 2016 CMT Music Awards, and voice matching Disney’s beloved character “Anna” from the hugely successful “Frozen” franchise. Leah not only loves to warmly inspire and invigorate every project she lends her talent to, but she believes in doing the same for her community as well. She continues to work, train, and give back through nonprofit organizations that center around children and the arts.